Brenda passed away peacefully while at Rockyview Hospital on Thursday, September 8, 2016. 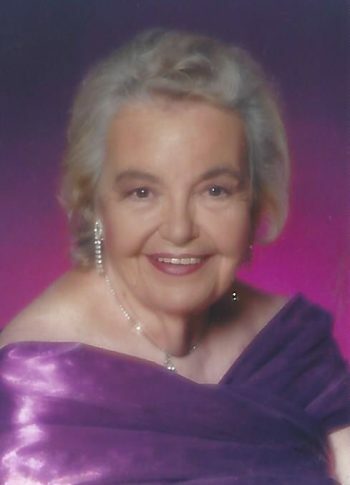 Brenda was born January 12, 1924 in Chilliwack, BC, moving to England as a child. As a young woman in England, Brenda was a competitive swimmer and also served as a Wren in the British war effort during WWII. Brenda met and married her husband John during the war and later together, they made their way to Canada, settling on the outskirts of Calgary. Brenda embraced her life in rural Alberta, where she raised her family and spent much of her time in her incredible gardens. Brenda will be greatly missed by her son Stephen, and daughter Wendy Watson; grandchildren Anissa and Adrian; and great grandchildren Jade, Honor, Moise, Emery, and Parker. Brenda is predeceased by John. A small family celebration of Brenda’s life will be held at a later date. If friends so desire, Memorial Tributes in Brenda’s memory may be made to a charity of choice.